In the space with high pedestrian flow in the city, there is full of delicate communication between people. 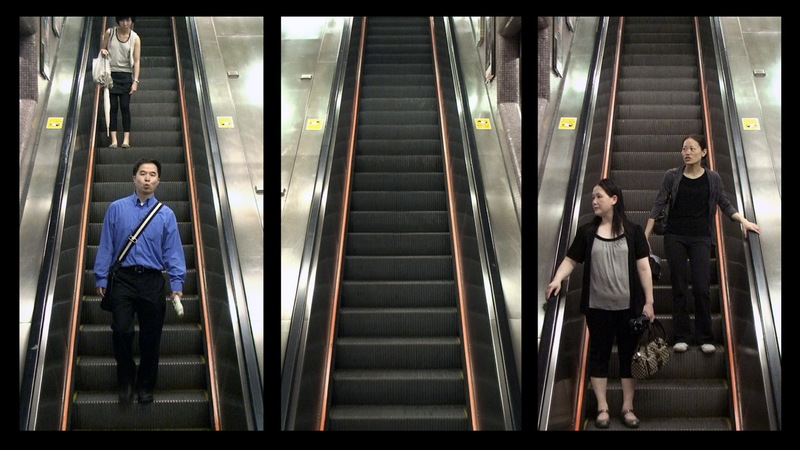 Artist reconstructs the relationship upon the escalators and the story of people by 3 video channels abreast. 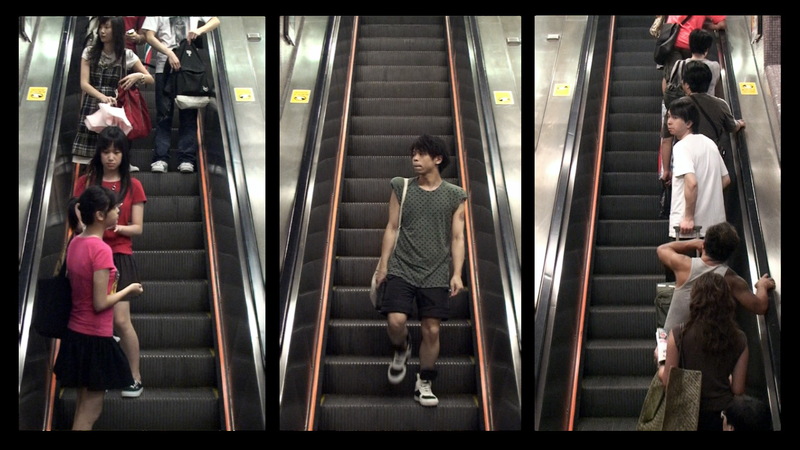 Different numbers of people, movements, and ups and downs are strewn at random through time and space. 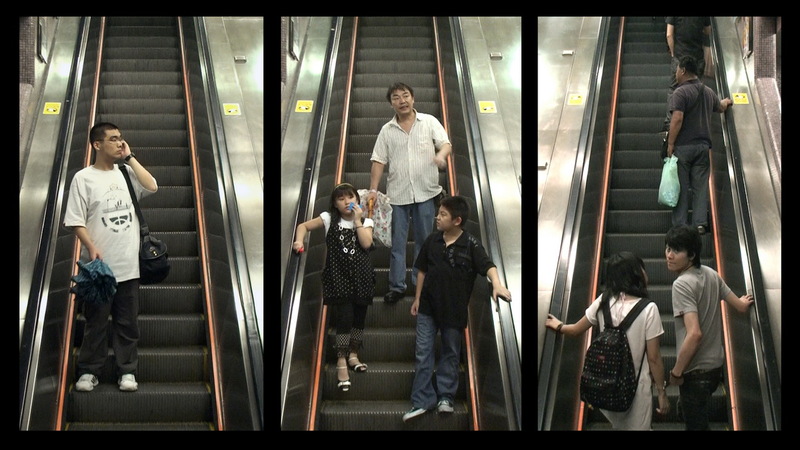 Strangers that never met are arranged to stare at and pass by each other in the overlapping space. This highlights the artist and audience, staying aloof but being in the story at the same time. 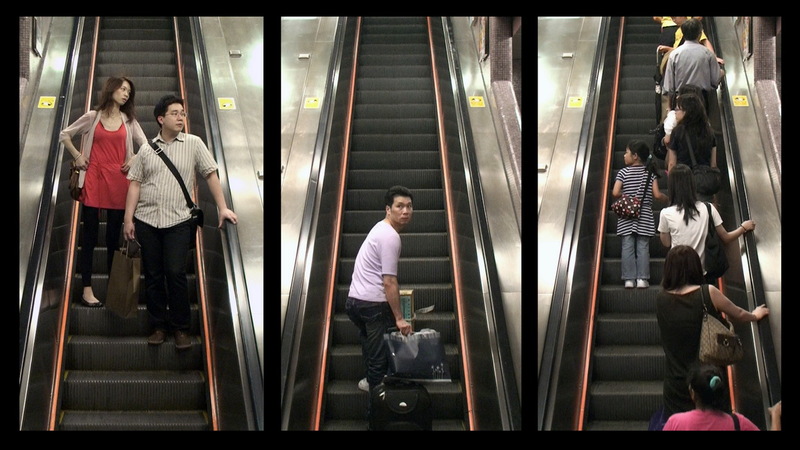 With a dramatic arrangement, the artist shows his imagination of the cityscape and reflection on interpersonal relationship in the public.